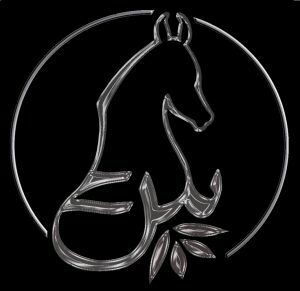 East West Equestrian Arts is the home of the Jilfan Sitam al Bulad Malabar Arabian Preservation Program. Once they are gone, they can never be replaced or duplicated. Nafis Rafiq, Safin n Niya, Bahiya Mizan, and Nasr Mubaarak are likely* the last four Arabians in the USA with an unbroken dam Jilfan Sitam al Bulad bloodline. Tradition traces bloodlines and subgroups of horses through the maternal (dam) bloodline back to the original clan and family that bred that strain. These six have a mother’s bloodline that traces all the way back to Syria to the Jilfan Sitam al Bulad* (also spelled with other variations). They may* also be the last unbroken Jilfan Sitam al Bulad dam line globally. The clan that founded the Jilfan Sitam al Bulad line is from Syria north of Aleppo. The last news was that all contact with that clan was lost after the fall of 2016 bombings. *Purity and bloodlines in Arabians can be very subjective. There is debate (and politics) about the status of the Jilfan line. 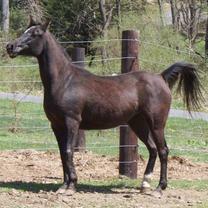 These are also very rare Early American Foundation Arabians. This means all their bloodlines come from horses imported into the USA before 1944. Truly american Arabians. 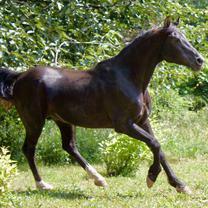 There are fewer than 1000 Early American Foundation Arabians of any bloodline. Finally, these are rare Malabar Arabians. Malabars are a strain bred for rare black color, good size, strong bodies and above-average calm intelligent minds with strong empathy for humans. These are throwbacks to the original “live in your tent” Arabians from history. There are only a few hundred breeding 25% or more Malabars remaining. Each of these qualities alone is rare. Those three combined qualities make these five the last of the last and as rare as horses get. There are many Arabians in the world. Why work so hard to save these four and continue their bloodline? This Jilfan Sitam al Bulad bloodline, and the Malabars and Early American Foundation arabians – all are at risk of vanishing and taking their unique DNA with them. Someday, that unique DNA could be the key to solving a horse disease. Or bringing back a valuable genetic trait. These Jilfan horses are unusual. You have to meet them to fully appreciate just how much. They are conscious beings, intelligent, thoughtful, caring. Their empathy is very strong. East West welcomes visitors – you may come meet them for yourself and experience their unique empathy. Whether you are able to travel to East West and meet them in person, or must participate from a distance, you can be part of their journey, part of the circle of life and new births and the return of a precious bloodline. We welcome partners in the preservation project. Pregnancy lasts eleven months. 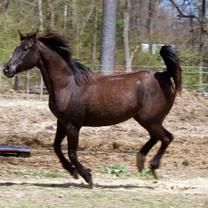 A young horse must mature for several years before being bred. This will be long process, saving this bloodline. It will take a village to complete the task. You can be part of the Jilfan Sitam village, a Horse Hero. You can watch the mares bloom, foals be born, help with the naming, and follow their growth to adults. All funds raised will be spent only on the care and preservation of these horses and their offspring, including land and facilities. Funds will be spent mainly in the Benton, Pennsylvania, USA area. Some out-of-state or international spending will be necessary for the breeding program, exhibition, for purchases such as stallion services, genetic testing, and feeds, supplements and other supplies. Funds are also being raised to secure land and improve facilities. 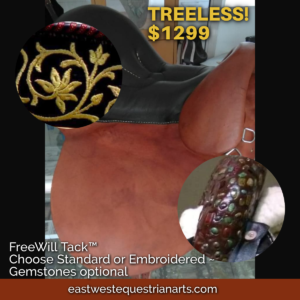 East West maintains a separate bank account for these horses, and all receipts for expenses. East West is not currently seeking non-profit or not-for-profit status. Any profits earned by the horses will be reinvested back into the Jilfan Sitam al Bulad Preservation Program, and receipts and records maintained as proof. Click “Help Preserve Now” for Gofundme or join our Horse Hero program to sponsor your favorite horse.